COUVRE-CARTER DROIT POUR CBR1000RR '08-09 - 443416. COUVRE-CARTER GAUCHE R&G POUR SUZUKI GSR750 '11 / - 443462. COUVRE-CARTER R&G DROIT POUR DUCATI - 443486. COUVRE-CARTER GAUCHE R&G POUR ER6N - 443480. COUVRE-CARTER GAUCHE R&G POUR HONDA - 443469. COUVRE-CARTER GAUCHE R&G POUR APRILIA - 443472. 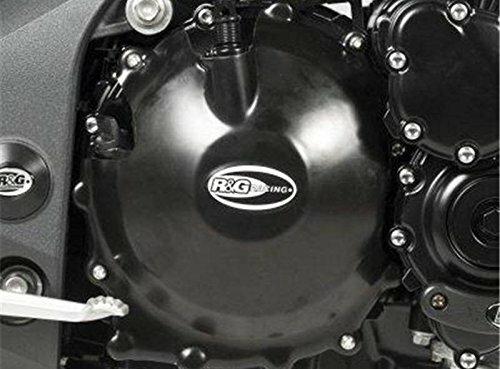 COUVRE-CARTER DROIT R&G RACING POUR HONDA - 443488. COUVRE-CARTER DROIT POUR DUCATI AVEC EMBRAYAGE À SEC (SAUD STREETFIGHTER) - 443410. COUVRE-CARTER DROIT POUR GSXR600 750 '06-07 - 443401. COUVRE-CARTER DROIT (POMPE À HUILE) POUR YZF-R1 04-08 - 443426. COUVRE-CARTER GAUCHE TRIUMPH - 443490. . COUVRE-CARTER DROIT SPEED TRIPLE 08-11 - 443446.